They're not playing in an orchestra, but they're still pretty darned cute. I'll take these guys over the X-Babies any day, and a crossover wouldn't be unwelcome either. I'm still not sure about the long haired non-monster, but maybe the wolf insignia on his belt will be a clue for someone. Or the fact that he's on a dinosaur. Or the fact that it's now clear that he's not wearing a shirt under that harness thing. Update: It's Gullivar Jones, Warrior of Mars. See the comments. In 1987 Marvel was bought by an entertainment company called New World, and that same year Tom DeFalco took over as editor in chief, replacing Jim Shooter. Marvel's fortunes at this time were greatly improved by the success of two movies, but ironically they were not Marvel movies. "The Batman movie and the Teenage Mutant Ninja Turtle movie came out and helped to promote comics by bringing people into the comic book stores," explains DeFalco... "Marvel didn't have any movies coming out, so we came up with a defensive publishing plan, figuring that everybody's going to be coming into these comic book stores looking for Turtles and Batman. DC didn't do a lot of publishing behind the first Batman movie, and Turtles didn't have a lot of extra publishing either, but we got a lot of stuff out, so when people came into the comic book stores, having seen the movies, the only thing they could buy was Marvel product." This flood-the-market strategy may have started specifically in reaction to the Turtles and Batman films, but it clearly remained in effect, with Marvel's output continuing to expand each year. 1987 was peanuts compared to 1992, which saw the launch of over a dozen new titles. 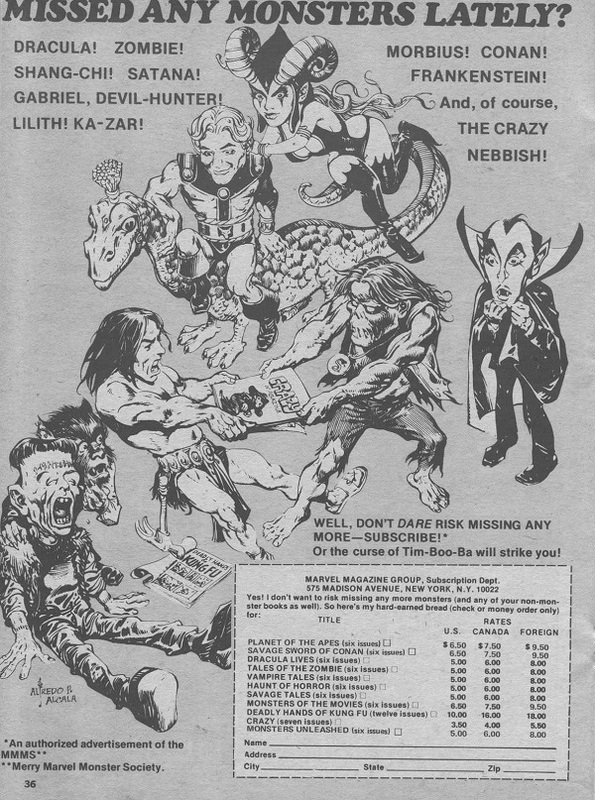 There was always something to be "defensive" about, be it additional movies or the new line of Image books. But i'm sure Marvel realized they could use this strategy offensively too. When we wonder why Alpha Flight never got canceled or how Silver Sable or Nomad merited their own books, this is probably a big part of the explanation. This of course wasn't a surprise, but it's nice to got confirmation from the editor in chief at the time. The device is called The Pilot system and Waverly Labs is the company behind this brilliantly simple yet potentially groundbreaking idea. When it hits the shelves in September, the system will allow the wearer to understand one of several foreign languages through real-time in-ear translation. A handy app will allow you to toggle through the languages you want, and the selection includes French, Spanish, Italian, and English. It'll retail for $129, and you can pre-order one here. Or you can just keep talking to people really loudly and slowly in English. Good luck with that. Is it as good as Google Translate? Cause if it is, i foresee the ensuing of hilarity. Or better yet, is it as good as the Hungarian Phrase Book? It was a disappointment to all that we faced Takos, Not Tacos. Can we agree that they're terrifying? Somehow, the Gin-Gins never caught on like the California Raisins. 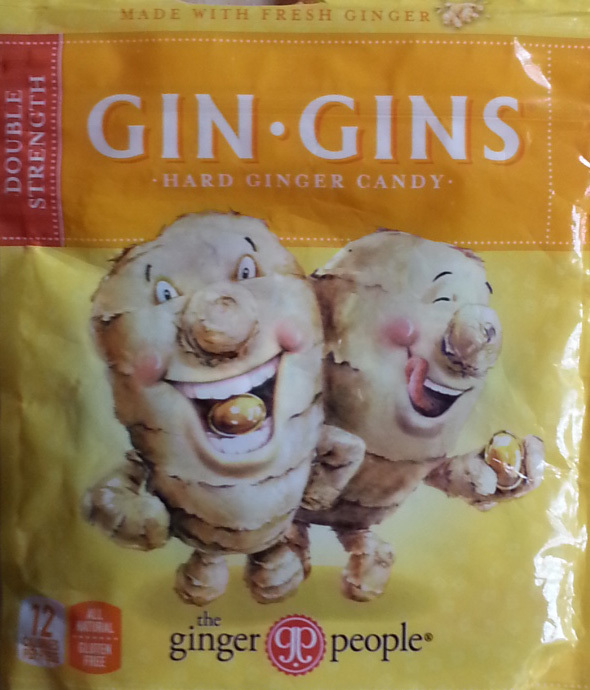 And are they eating ginger candies? I'm pretty sure that's cannibalism, and against the rules. 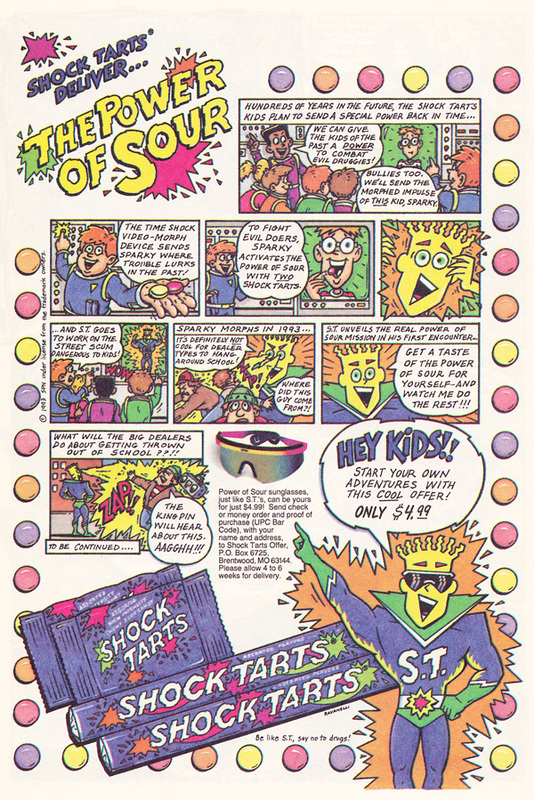 I'm not sure if i ever saw Shock Tarts, but if i had known they were sent from the future i might have tried them, and i certainly would have worn those sunglasses. I'm not sure what i like better, the idea of sending kids out on the streets to fight drug dealers (excuse me, "dealer types"), or telling kids to eat little round pill-shaped candies as a way to convince them to NOT get into drugs. A pilot project out of the Alaska Wildlife Conservation Center and the Kroschel Wildlife Center aims to replace rescue dogs with rescue wolverines in the search for those buried under the snow. Clocking in at about the size of a standard poodle, the stocky animals are known mainly for their ferocious natures and remarkable hunting abilities - deer, caribou, and lynx are standards on the wolverine menu, and there have been reported incidents of the creatures tussling with black bears over kills. All in all, it might not sound like the furry face you want to see digging you out of a snowbank, but it's partly the tenacious predator's hunting skill that makes it a good candidate for rescue duty.